Now, because everyone is so desperately interested in my left sesamoid-plagued foot, I think it’s about time to update you on its latest antics. On Tuesday evening I visited the hospital to have a chat with a surgeon about how to progress further with the pain. By this point, I’d pretty much decided that I would have it cut out, just to end all pain and I was ready to meet the surgeon. After a 45 minute wait, I was seen and informed that surgery isn’t necessarily the right way to go. Feeling a little disheartened and lost, I didn’t know what else I could do. Would I have to live with this forever? I didn’t think that was possible. He showed me the scan of my foot and said that rather than the sesamoid being irregular, it’s actually got a sweet little crack down the middle. Convenient. Now what. He said the best treatment is to have a steroid injection. Whether it will work or not is another matter, but he treats lots of people in this way compared to giving one person a year the surgery (which he said is actually quite a risky procedure). I said sure, I’m game, shall I go book an appointment? but he said no I an do it now. The blood absolutely drained from my cheeks and my dad cracked out laughing at my horrified expression. I didn’t know if I was ready but I’ve waited so long for a moment like this that it would be stupid to turn it down. So I hopped up on the couch and allowed him to stab by foot with some milky white steroids from a large pointy needle. I think I can safely categorise it as the weirdest feeling I’ve ever experienced. It felt like my foot was being blown up like a thick leather balloon and I very quickly became hot and faint. After a brief lie down I was up and about again, happy as Larry. As the evening drew on however, after we’d left the hospital and I’d arranged another appointment, the feeling in my foot was starting to get worse. It felt like it always has for years but 10x worse and it was hot and stinging. My foot was swollen and had a hint of a purple hue to it and gradually I was unable to walk anywhere. Highly inconvenient considering I was moving house on this day and was therefore completely useless. I wasn’t worried about the pain in my foot. I’m convinced that it was down to the fact that my foot was freaking out about being jabbed and having steroids pumped into it, but gradually it seems to be warming to the idea. Today (three days later) I’m limping but there is a less purple tone to my skin and it’s not as big as my head anymore, which is a plus. If it’s going the way it is, tomorrow I should be virtually pain free and then we just have to see if this whole experience has actually benefitted me… Time will tell. My body feels like it’s gradually falling apart recently. Yesterday I went to the hospital again and saw the foot doctor after having x-rays and MRI scans and found out that I can either live with this horrendous foot pain forever or get the little bugger of a sesamoid bone taken out. That scares me. I’ve never had surgery and the idea that it could become a very real experience is quite daunting. I know, it’s only a small thing and there are those out there going through much worse but I would be lying if I said I wasn’t frightened of what’s looming. For the moment, I just have to make the time to make the decision on what to go with. Not an easy decision but something I know I can rely on my family, friends and Sam to help with. I got an update on my foot yesterday. The doctor rang me, said that they’d looked at the x-rays and that they’d found something peculiar. The two little bones that contribute to sesamoiditis which they believe is the cause of the pain are there and everything, but one is ‘irregularly shaped’. Pause. My reply was, ‘cool’. Now what? She said they’re going to book me in for a scan – great – and they’re going to look into it further. 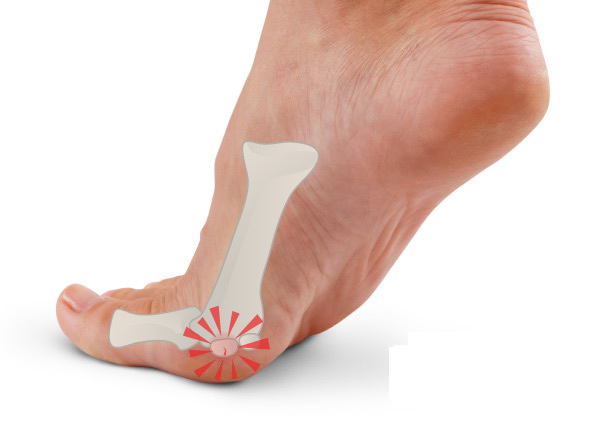 So, after being told that the tightness of my hamstrings is the reason why my foot’s all painful, it’s now because I have a funky shaped bone chilling in the bottom of my foot. Ooh goody. I mean, yeah, that’s probz what it is to be honest and great if they’ve found the cause of it, even though they don’t understand why because I’ve never experienced a foot injury (that I’m aware of to be fair), but it’s kinda scary. I know, I know, having a sore foot isn’t the end of the world and people go to hospital for much more serious reasons, don’tcha know (I think I’ve made this point before…) but it’s actually hurting me, it’s not nice, like, at all. On a positive note, my plan for the weekend is to go shopping and buy some mega comfy (black) trainers to wear at work instead of heavy stiff boots so I can be less of a limp and hinderance to general school life. Also gonna buy a sassy leather jacket, which will obviously help the recovery of my foot…obviously. Right, I don’t wanna have a moan here but I’m gonna anyway and I don’t expect everyone to feel sympathy for me (which they should) but here goes. I am in pain. I have been for years now. Like, physical pain (and no this isn’t some sort of metaphorical revelation that I’m coming to after so long, I literally am hurting). It’s my foot. And it’s driving me absolutely crazy. When I walk, I virtually cry from the pain. When I sit down, it throbs and is unreal. Under the ball of my foot, there are two little bones knocking together (so the doc says, I don’t really know) and this is what’s doing it. Yes there are bigger problems out there and yes I have a wonderful life that’s fruitful and glorious and YES I know that people have it worse but it’s making me unhappy and is spoiling my days. As I often say with posts, there is literally nothing to this other than the fact that I need to vent somewhere and I need to let the world know that I have a limp!